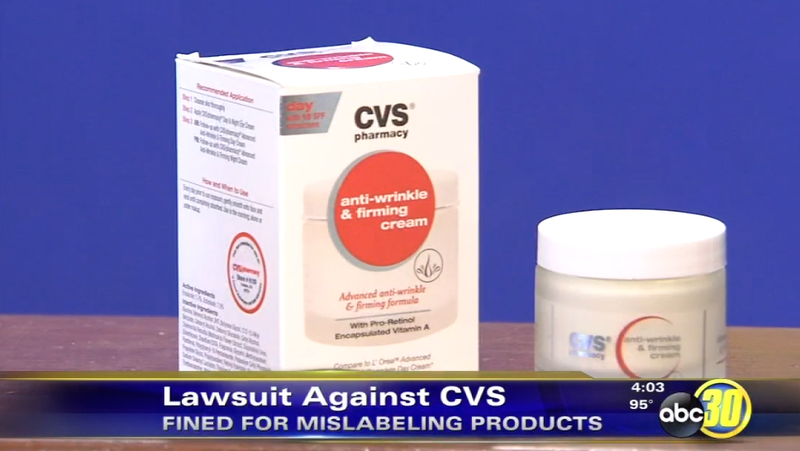 Four California counties alleged that the packaging of CVS products like this anti-wrinkle cream misled shoppers into thinking they were getting much more than what was inside. Isn’t it great when you buy a box that looks like it contains a large jar of face cream only to find out that what’s inside is much smaller than you’d expected? Drugstore megachain CVS recently agreed to pay $225,000 to settle allegations in California that it tweaked its packaging on nearly a dozen store-brand products to trick customers into thinking they were getting more than they really were. Among the 11 products cited by investigators are CVS brand Accelerated Wrinkle Repair Moisturizer, Age Refine Eye Cream, Anti-Wrinkle And Firming Cream, Moisturizing Face Cream Hair Remover, Maximum Scalp Relief, and the Ultra Firm And Lift Eye Duo. The four counties involved in the settlement — Fresno, Yolo, Sacramento, Shasta — will share in the $225,000 settlement. But don’t expect to see a quick change in the packaging at CVS, as the company is allowed to continue manufacturing these products as they are until January 1, 2015. Since these things don’t necessarily fly off shelves, CVS has another two years to sell out the inventory of these air-filled boxes.